At Denver Boulder Real Estate, we are award-winning experienced Realtors® who know how to navigate the competitive home selling market, leveraging every detail in the transaction with only your best interest in mind. Request a Free Home Evaluation: A well-priced home will generate competing offers and drive up the final sale value. Our free market analysis takes into account the most actively searched prices and home values in the area and provides you with a detailed evaluation that puts it all into perspective. Our Comprehensive Denver Boulder Real Estate Marketing Plan will provide the results you are looking for! Whether you are selling a cool condo in downtown, a quaint Tudor in Park Hill, or a luxury home in one of our premiere neighborhoods, we've got the experience and marketing that will drive the right buyers, not just any buyer, to your home! We take pride in helping you exceed your selling goals and calling your home SOLD! 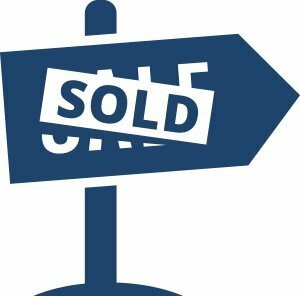 Sell Your Home with a Seller's Agent who is also a REALTOR®: So, what is the difference between a real estate agent and one who is also a Realtor®? Meet our award-winning Realtors and find out how working with a Realtor could make the difference for your real estate transaction! See What's on The Market: Use the search tools on this site to get an idea of the competition in your neighborhood. Contact Us: When you need to know what's really going on in this crazy market, give us a call! When you're ready to take the next step toward selling your home, we're here to help. We'll make sure your listing gets the best exposure and reaches the right buyer — whether they're out of state, in another country, or right around the corner.